This is a Super Mario Odyssey Walkthrough Wiki with story guides, enemies and bosses strategy and data, power moon locations, and tips and tricks. This is a Super Mario Odyssey Wiki and Strategy Guide page containing walkthroughs, strategy guides, tips and tricks for the new platform adventure game developed by Nintendo EPD and published by Nintendo for the Nintendo Switch. Super Mario Odyssey was released on October 27, 2017. Like other recent Super Mario titles, Super Mario Odyssey is a 3D platformer but with a twist. Mario can use Cappy to "capture" monsters or enemies and take control of them to utilize their abilities. This mechanic in Super Mario Odyssey is also crucial in some puzzles, as you need a specific enemy skill in order to complete a puzzle. Mario can also use Cappy to act as a platform or to activate switches. In addition, the game no longer has the "game over" screen. Instead, Mario loses 10 coins while respawning to a nearby area. Also, each world in the game is no longer separated into levels, the completion of the world is now indicated by how many Power Moons you collected in that specific world, similar to how the Stars work in Super Mario 64. The Power Moons are collected almost anywhere in the map, not just by defeating bosses, as the moons are hidden somewhere deep within the world, or it is obtainable by helping NPCs in that world. Moreover, despite being a 3D platformer, there will also be 2D section in Super Mario Odyssey where Mario needs to stick to wall in order to advance to the next area (similar to the mechanic found in The Legend of Zelda: A Link Between Worlds). This mechanic add a layer of depth into the already complex game. Super Mario Odyssey is a platform adventure game developed by Nintendo EPD and published by Nintendo for the Nintendo Switch. The beloved Super Mario series dates back to its beginnings as a 2D side-scrolling game and upon the release of Super Mario Bros., had established its place as among the most recognizable franchises in gaming today. 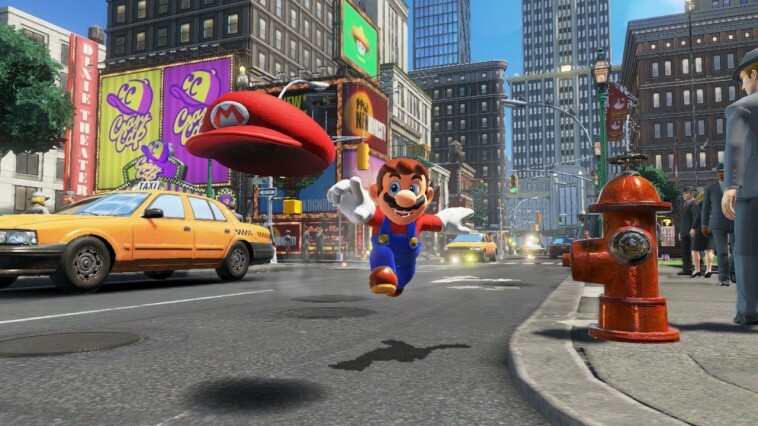 As the latest entry to the Mario line of games, Super Odyssey will adopt full 3D graphics and allow players to freely explore a large open-world or sandbox environment similar to Super Mario 64 and Super Mario Sunshine. Many stages will be inspired by real-world locations, such as "New Donk City" which is heavily based on New York City. As the first actual Mario game continuing the tradition of platform-style gameplay on the Nintendo Switch, the game is among the most-anticipated this year! 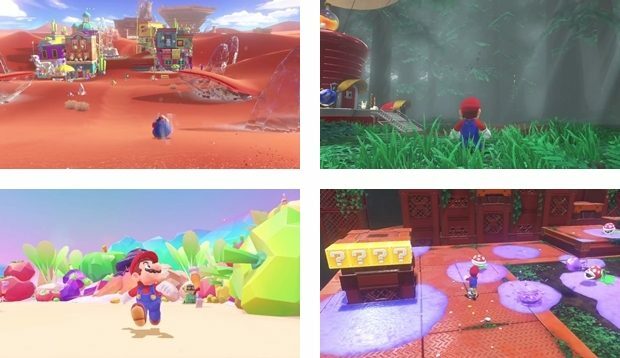 Each of the stages in Super Mario Odyssey is an open-world environment where the player has the freedom of fulfilling the objectives using various methods. Several Stars are scattered in these locations, and it will be up to the player to decide how he or she intends to collect them throughout the game. Most other Mario games have had only one Star for each level, with the prime objective being to obtain the symbolic item within a specified time limit. This is one of the key differences of Super Mario Odyssey from earlier entries. We'll be adding more information about the game regularly, so check back from time to time.